The dimmable Rosy Angelis Floor Lamp by Flos shines with a minimal implementation of classical forms, which provides the umbrella of ultra-light fabric in the foreground. Three simple aluminum legs keep the diffuser of the Rosy Angelis five feet in the air. 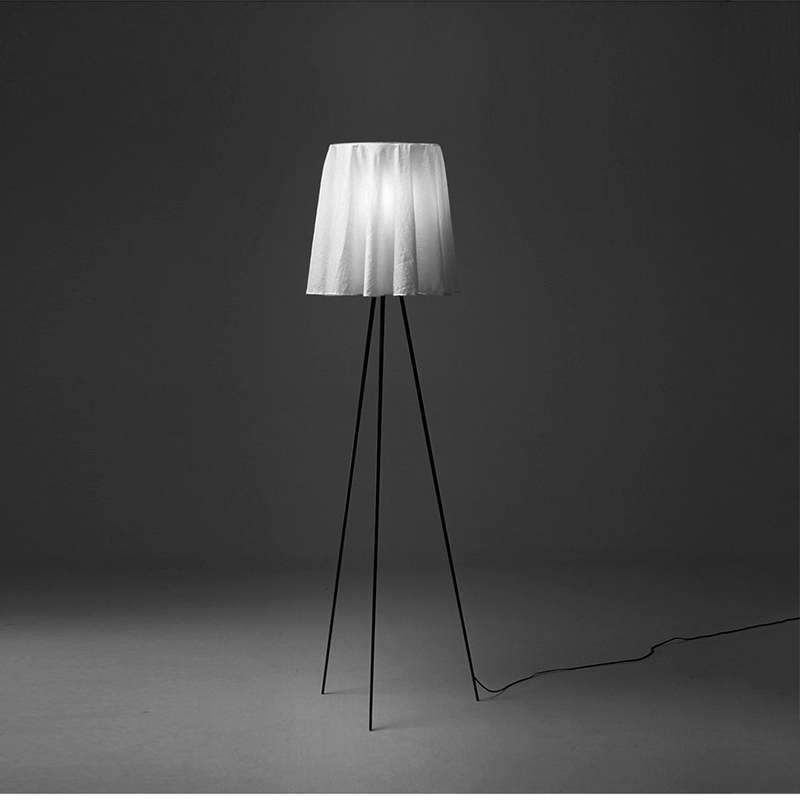 The white fabric shade of floor lamp that floats angelically above the ground, thus making the name of the Lamp by Flos all honor. A real eye-catcher and a fascinating Beleuchungsidee. The dimmer is controlled via a rotary dimmer in the light fixture, which is served with a satin aluminum rods.